Sephora is coming to UK and everybody is buzzing about it. My lack of enthusiasm is justified by two reasons. Fist of all, it is gonna open in London. I don't live in London, come to Manchester and then we can talk. Second, we have got Sephora in Italy and believe me, it is nothing like the American sister. 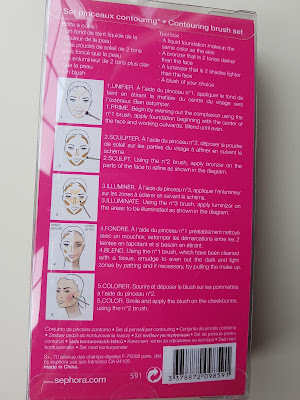 Half of the brands are missing, it's pretty expensive and the rewards you get with the points card are very little compared to what you get in Boots or Debenhams. One of the few reasons we should be happy to finally have Sephora in UK is, indeed, the Sephora own make up line. I have got lipsticks, shadows, bronzers and I have never been disappointed. Something I picked up in my latest visit in Italy and I am very happy about is this Contouring Brush Set (£25 more or less). 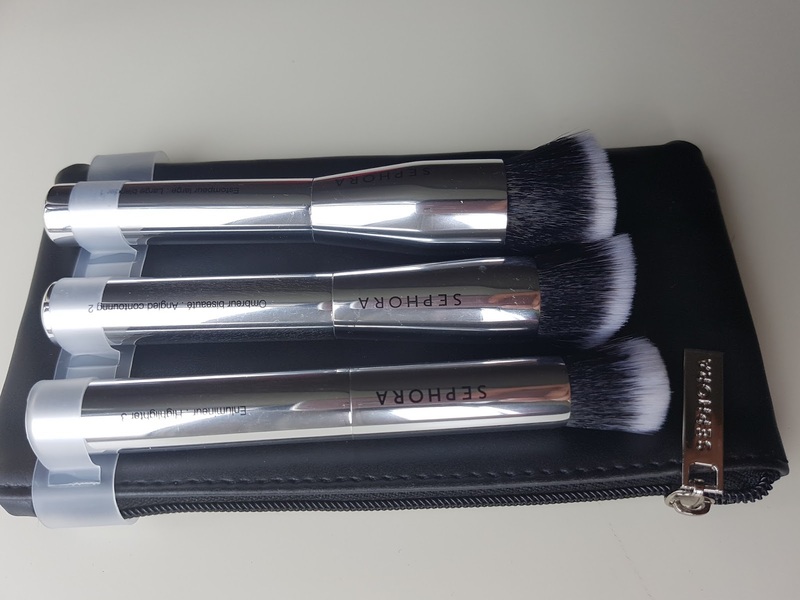 The set includes 3 brushes, a make up bag and a little how to leaflet. 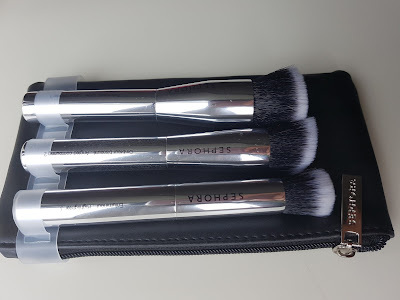 The brushes have a short silver handle and the make up bag is made of a waterproof material, things that make this set perfect for my travels. 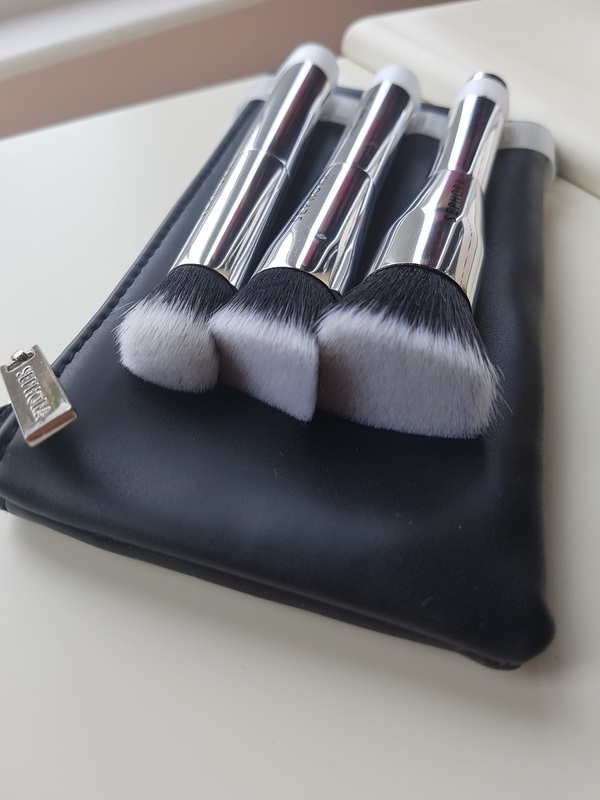 The brushes are synthetic, duo fibre, all densely packed with soft bristles. 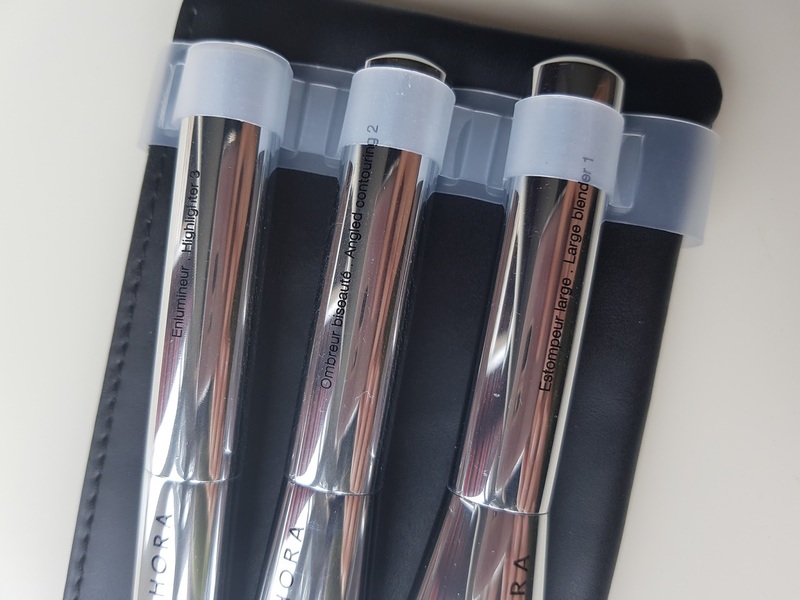 Each brush has got a number and a description on the handle. 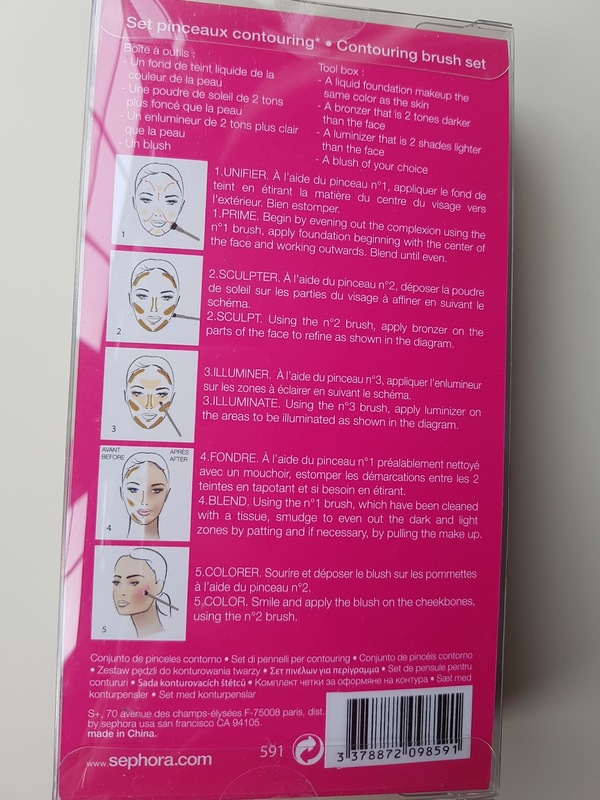 The leaflet suggests to use Brush 1 to blend out foundation+ contouring product= highlighter after the applications and brush 2 to apply blush at the end of the process. Now, let me tell you something, I frigging love this kit. 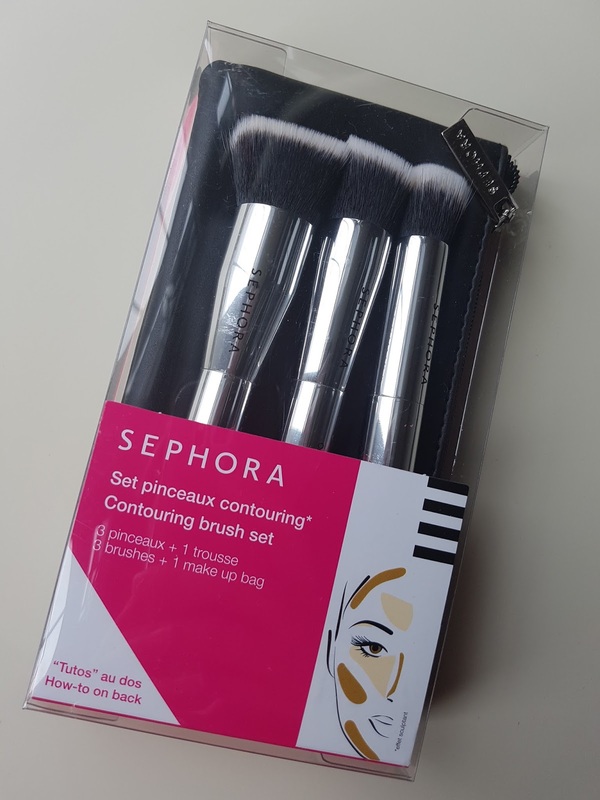 It is exactly what I am looking for when I use cream contour products. 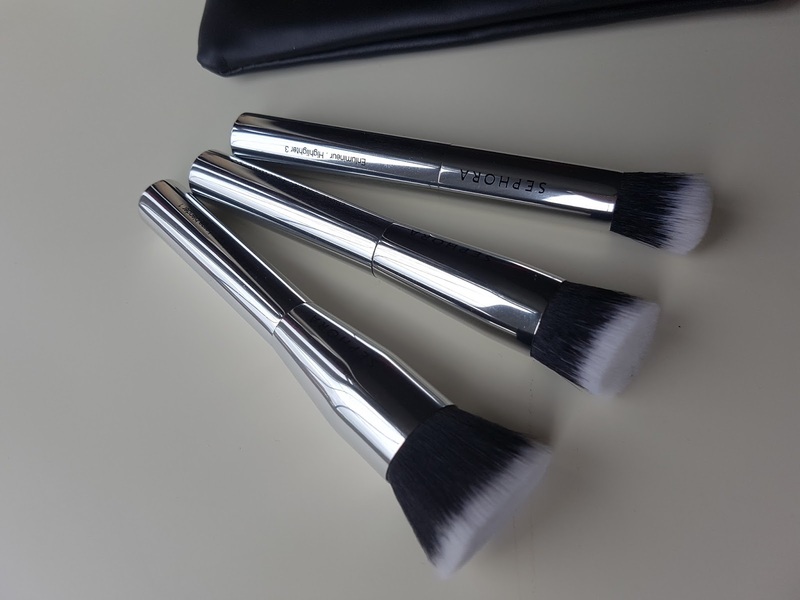 All the brushes are very firm and perfect for a precise application but because they are very soft it is very easy to blend everything out. I have washed them few times now without noticing any shed or change in the shape. For powder products I prefer the Real techniques sculpting set but for creams these are the brushes I reach for at the most. If you are in a rush Brush 1 maybe too small for a quick application of the foundation. I tent to use my Mac 187 or my beauty blender if I am short of time but still use it to blend the other products out. If you have a Sephora around, you really need to check this kit out, you won't regret the purchase, believe me.